Things we loved about Gobbles... he's bright pink. He looks like he's wearing two party hats. He has curly spikes on his head. And his hobby is "carrying vegetables", which is one of our favourite things to do too!!! 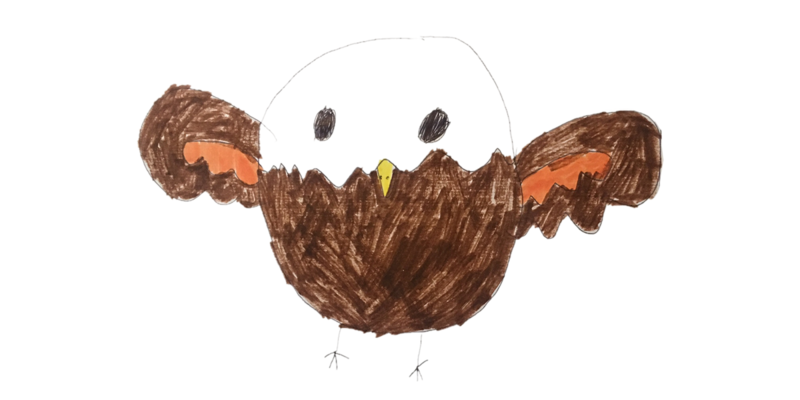 Well done Tessa - your drawing is awesome! Judging a competition like this is incredibly difficult. 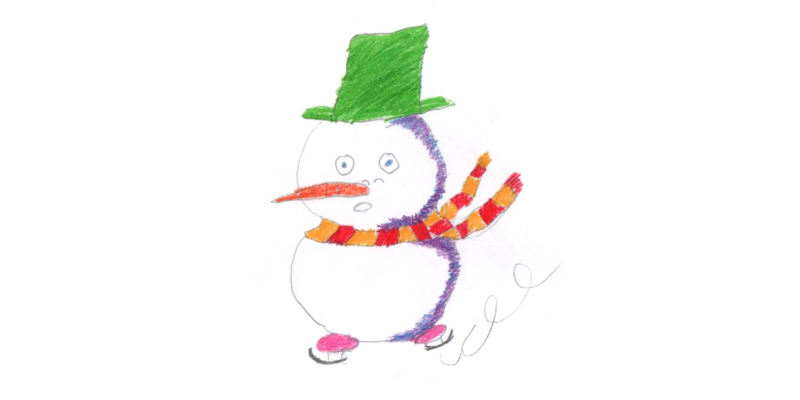 There were so many entries that could have won - some beautiful drawings, fantastically quirky descriptions and brilliant ideas from creative children everywhere. The entries we picked as the winners combined an interesting idea for a character with a certain "Squeebleiness" that fit with the idea we have for our next app. If we could have picked more winners then we would have done. Below are some of the other designs we particularly loved. If your design isn't listed here or if you didn't win, please don't be sad - we had hundreds and hundreds of entries and they were all lovely, but putting them all here would have taken so long we wouldn't have time to make any more Squeebles apps! Thank you to everyone who entered and keep drawing - next time it might be you who wins! Interesting fact: Shoot likes dreaming about being the tallest tree in the world and seeing above the clouds! Alexia's drawing is absolutely beautiful and she obviously put a lot of thought into her Squeeble. Fantastic colours and a great description. 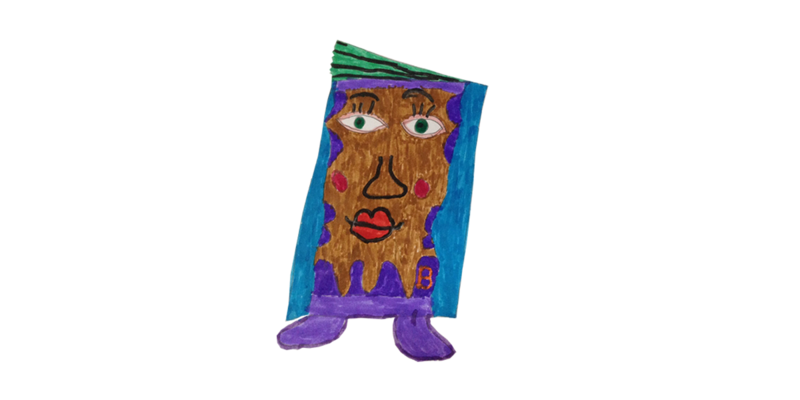 Plus, we love books, so we were always going to like this Squeeble. Interesting fact: She once cartwheeled for five hours without stopping! 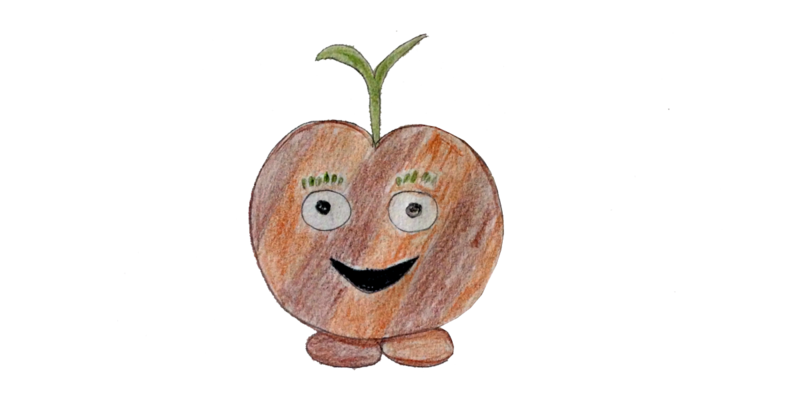 The idea of a dancing, colour-changing Squeeble eating tomato and chocolate at the disco is just fantastic. Well done Theo - great imagination. Interesting fact: Landon can name every place in the world. He can also draw a map of the world blindfolded. 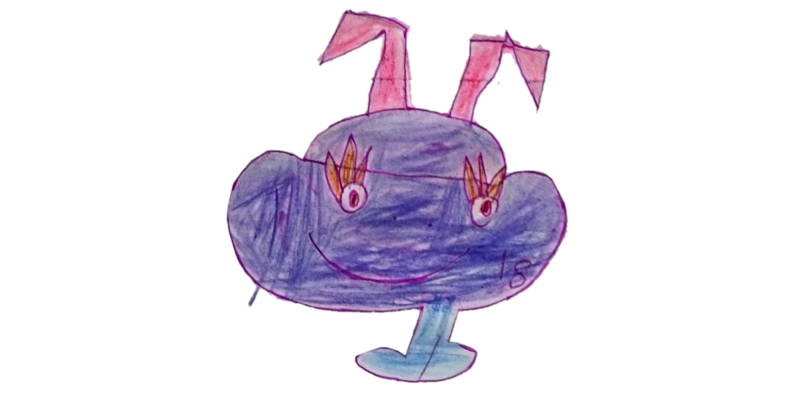 Wow - this drawing by Lucia, who is just 4 years old, is fantastic. What a happy looking Squeeble with bags of personality. Interesting facts: Eggie likes to show off his flying skills, especially loop de loop. He can change colour, which shows his moods. Zipper loves zip-lining. And Zucchini pudding! 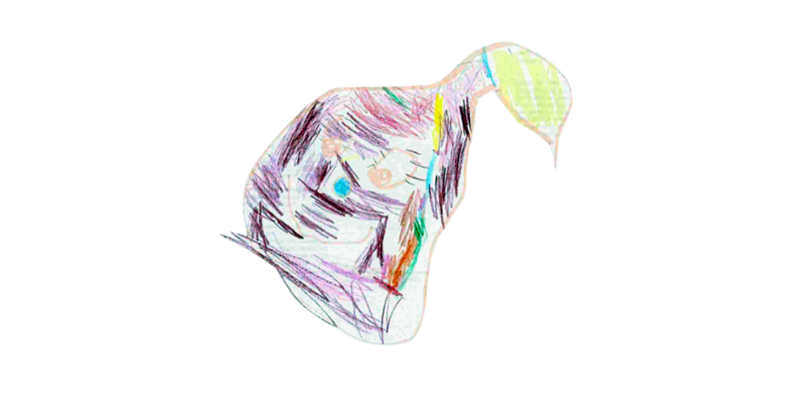 We liked how colourful Ruben's drawing was and that Zipper was such an active Squeeble! Interesting fact: He zip-lines so fast you cannot see him go by. This is quite fantastic. 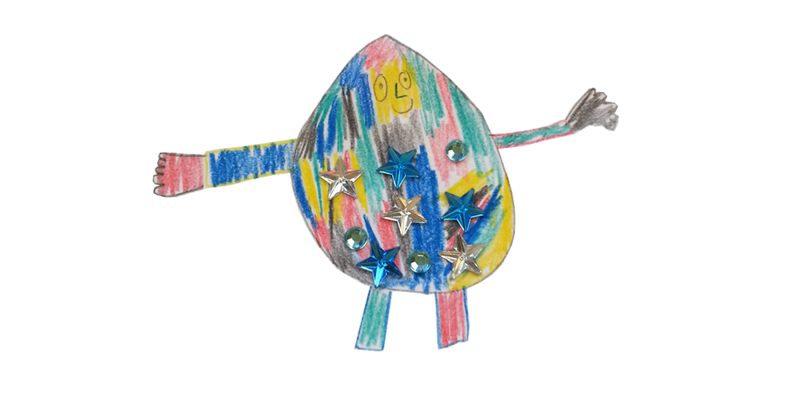 Ilse's beautiful drawing has been decorated with stars and jewels to make Rio one of the most colourful and exciting Squeebles we've ever seen. Interesting Fact: Rio gives flying lessons to other squeebles. We think Amelie might like cats. Just a guess. 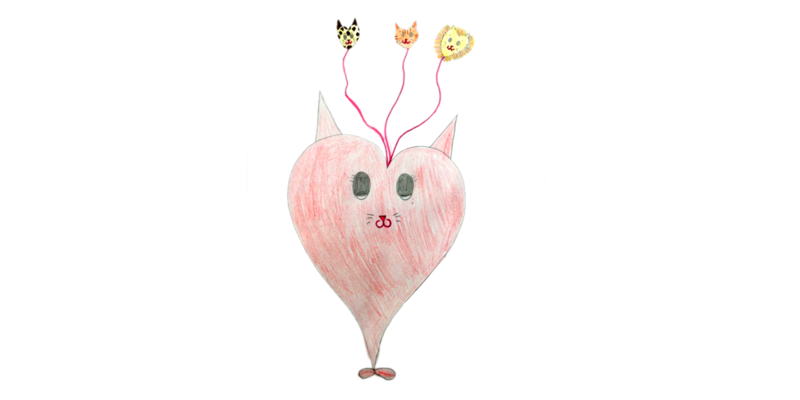 Her Squeeble is a magnificent creature, with a heart shaped body and three cats floating like balloons out of her head! Brilliant! Hobby: Helping, looking after, understanding and saving cats! Interesting fact: Kittylove loves to make gingerbread men for all the squeebles, when she is not working, so sometimes she makes so much gingerbread her house smells of it for days!!! 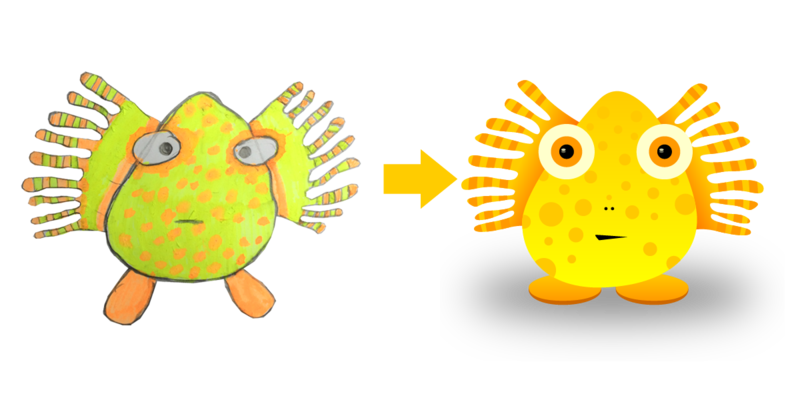 We thought Callum's Squeeble had a bit of a pineapple look about him and with hobbies like playing bubble-ball and flip-fish, he'll fit right in with the other Squeebles. Interesting fact: He ran around the world in 5 minutes. 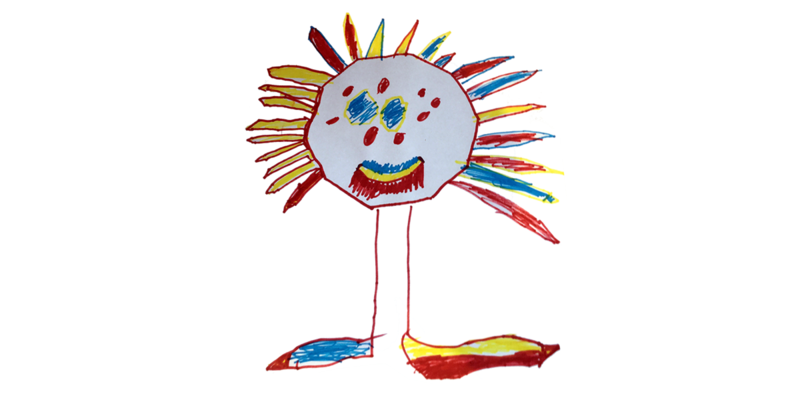 Rex's drawing leaped out of the page at us - colourful, full of character and seemingly roaring with joy. "Raaaagghhh". Outstanding! Interesting fact: He is a fish and when someone drops something in the pond he changes shape. 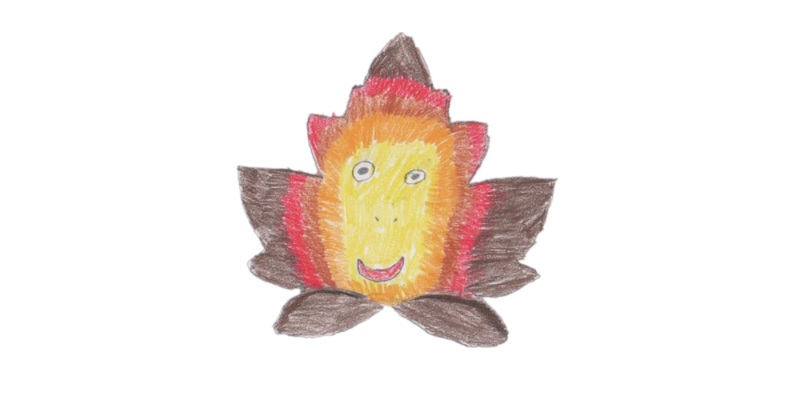 This beautiful maple leaf by Charlotte is coloured so nicely - fantastic shading and colours and a lovely, smiling Squeeble as well. Well done! Interesting fact: Maple is a champion at hide and seek. Interesting fact: He likes hitting balls! With winter fast approaching we were given a taste of snow and ice from Rebecca, with her wonderful, ice skating, dressing-up-enthusiast Squeeble, Icee. Brrrrrrrrr!! Tanger lives a colourful life by the sounds of it, hunting for aliens and pots of gold! He looks like a happy sort of fellow with a friendly smile. Well done Tessa! Hobby: Looking for pots of gold. Interesting fact: Tanger likes alien hunting! We loved Zig's giant pink curls (are they antenna? or ears?) and his bright pink cheeks. He looks like a bouncy, lively sort of guy. A fantastic drawing Charlie! 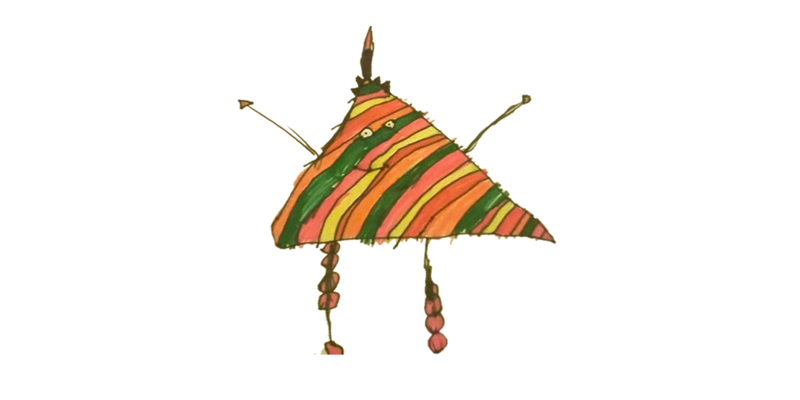 Interesting fact: Zig is small and bounces round a lot! 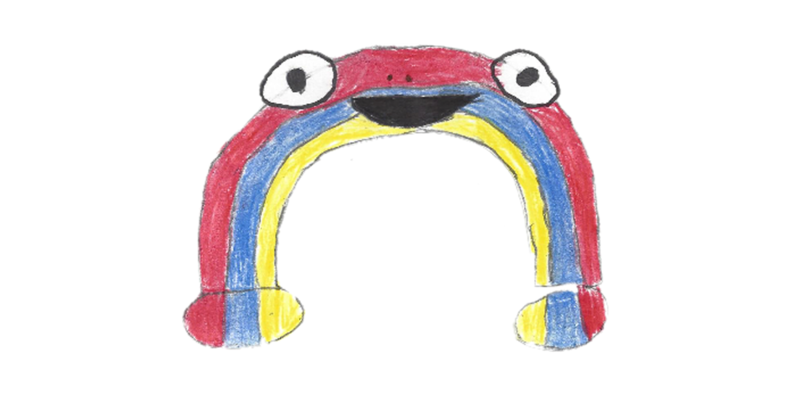 Rainbow is one of the most colourful Squeebles we've ever seen! She's been beautifully coloured in by Amelie, who has come up with a wonderful new type of food - rainbow milkshake cupcakes! Mmmmm!!!! Hobby: Playing with her Squeeble friends and taking bubble baths. 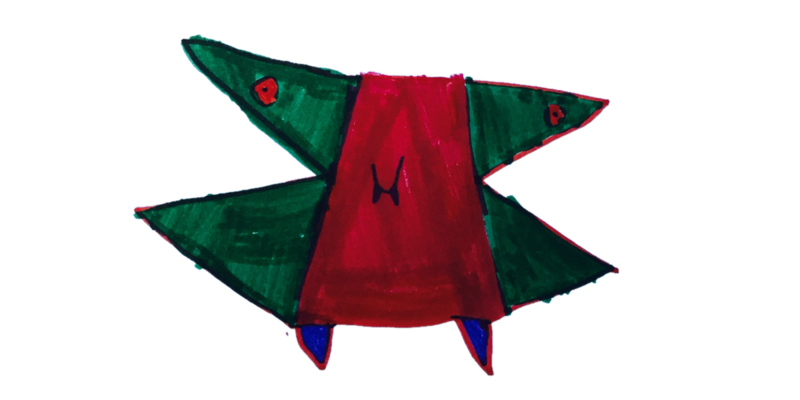 Dectus seems to be a very geometric sort of character, with a decagon shaped head. He also appears to be heading for a (potentially very short) career in the prison service, throwing rotten food at law-breakers! Steady on Dectus!!! Daisy-Mae is a half cat, half dog! We've been trying to decide if having the front half dog and the back half cat would be better than having the front half cat and the back half dog. Personally I'd half the front half dog and the back half dog but that might just be because my cats keep plucking the furniture and digging up my vegetables... Grrrr! Anyway - we love Freya's character - a brilliant idea. Interesting fact: Her eyes glow in the dark. We've been hiding behind the sofa quivering with fright ever since seeing Spooky earlier in the week. 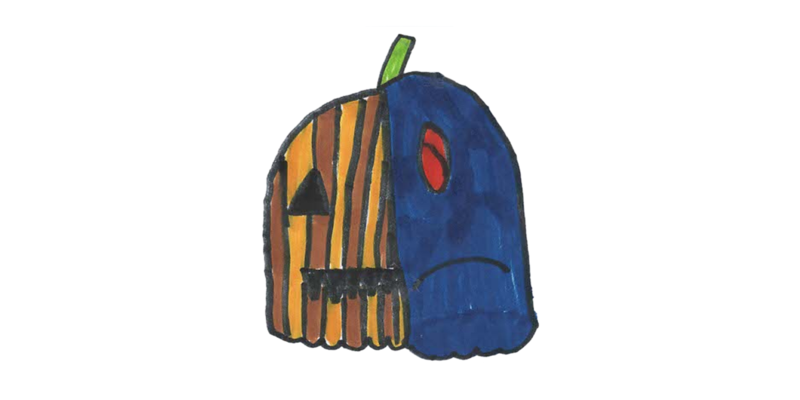 A wonderfully scary half pumpkin, half ghost by Ellie, who shows he has a slightly more creative side too by being keen on arts and crafts. Bet he enjoys carving pumpkins... or maybe not (!) And all in Halloween week too!!! Yikes!!!! Interesting fact: He likes scaring people! 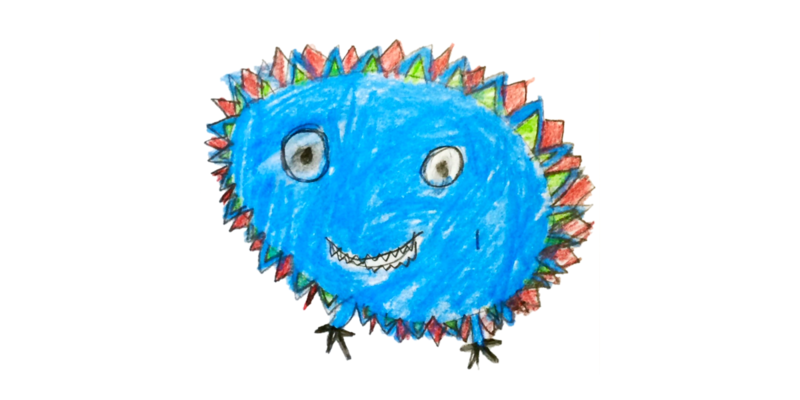 Blue is our favourite colour and the shade of blue Talia has used in her beautiful drawing is one of the nicest blues we've seen. Like an August sky or a tropical sea. Spike likes baking rocky road and if he'd like to bake some for us then we'd love some. Thanks Spike! And thanks Talia for such a wonderful Squeeble. Interesting fact: He can bounce super-high! 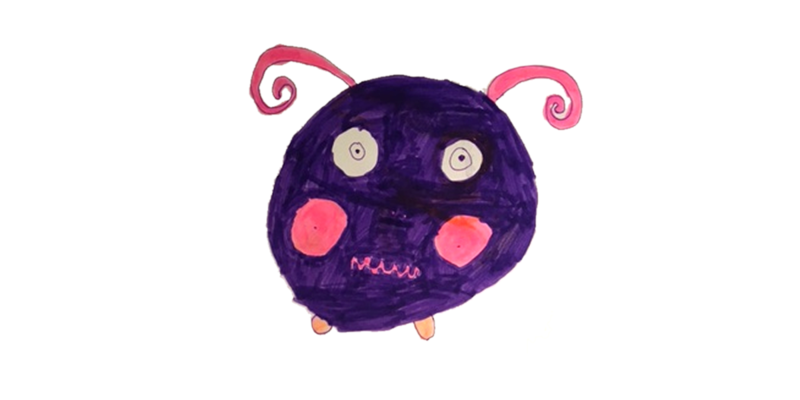 James' Squeeble is an arty kind of character, who even has a permanent splash of paint on him. 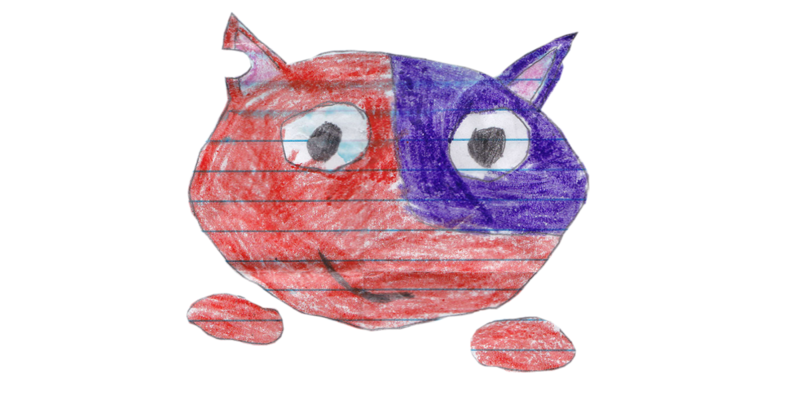 Another great drawing with plenty of colour and a lot of Squeebliness! 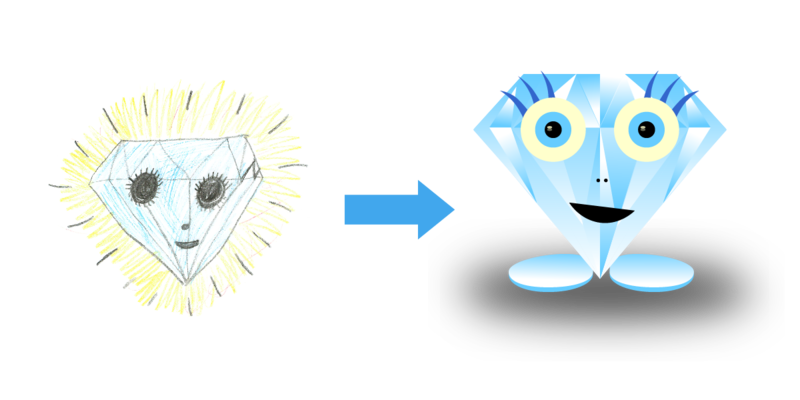 Interesting fact: Spidot's dot is paint! 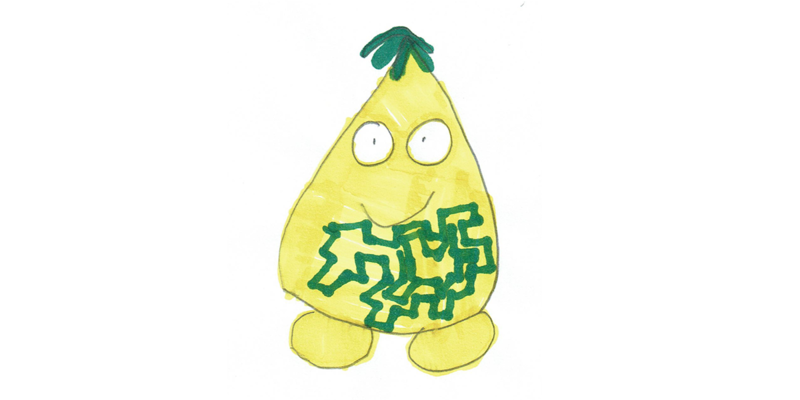 There is a long history of Squeebles that look like fruit but we've never had a pear Squeeble before, which is strange, because we love pears. 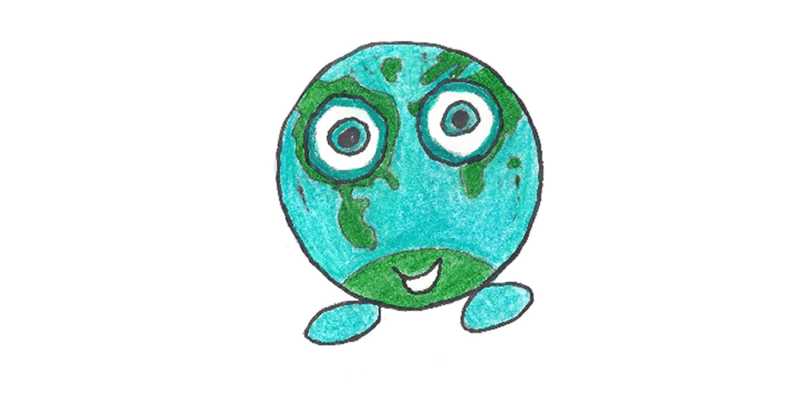 Arlo has beaten us to it and designed a wonderful character with a big smile who can speak every language in the world!!! Interesting fact: He can speak all the languages in the world! 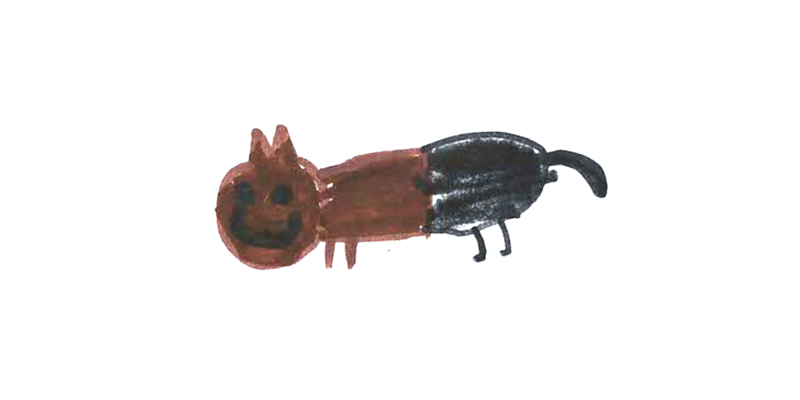 We thought Carys' drawing looked so yummy, we had to try really hard not to print it out and eat it! Don-nutter looks like a very happy Squeeble - we'd recommend if she wants to stay that way she stays away from Pear Zinger (left), whose favourite food is doughnuts! Melody is a musical Squeeble, which is brilliant - the Squeebles love music and always like being sung to. 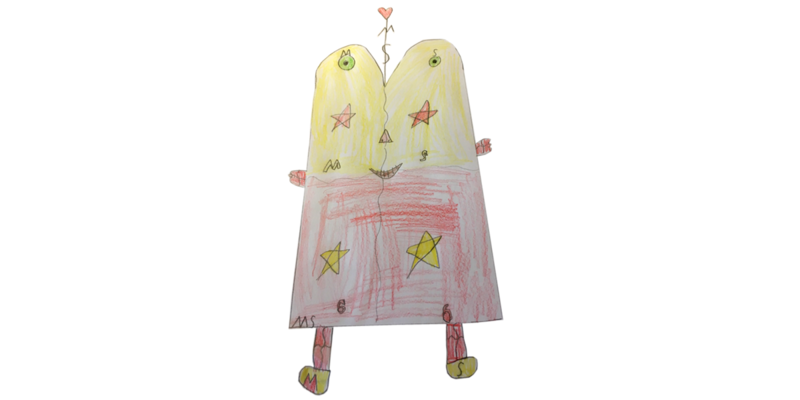 We thought Melody's heart-shaped antenna was fantastic and loved her colour coordinated stars. Brilliant drawing Mia! Interesting fact: She likes to play with all of her friends. Heart seems like the kind of Squeeble who is full of happiness and love. Her smiling face and colourful smile are just what the rest of the Squeebles need after a hard day's work dealing with the Maths Monster and the Spelling Snake. 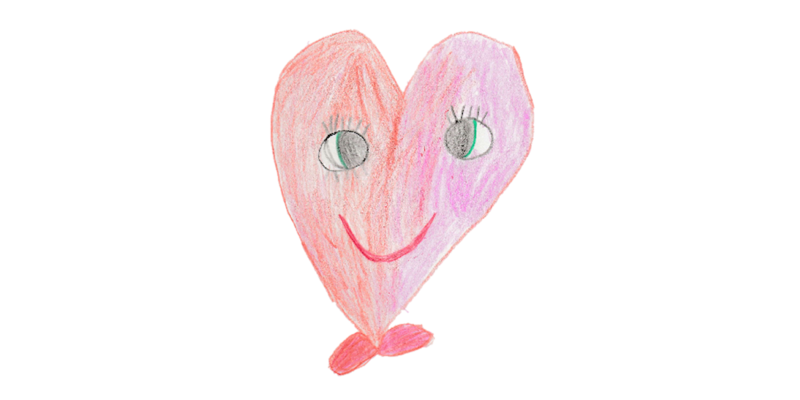 Interesting fact: Heart is a kind and caring Squeeble. She has lots of friends around the globe. Her favourite colour is pink. Arca seems rather owl-like to us - a very wise and kind Squeeble with perfect night-vision and a beautiful singing voice. Squeebles are usually vegetarian, but as a bird of prey, we can make an exception for Arca, whose favourite food is fish. Hobbies: flying and soaring through the air. 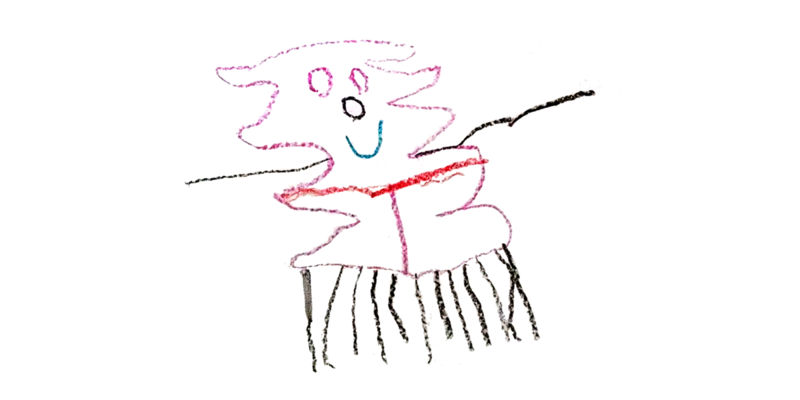 We thought Twist looked like she was dancing in Ruby's wonderful drawing. We love her headband and the bright colours that Ruby has used in her picture. Hobbies: Bird watching, gymnastics and dance. 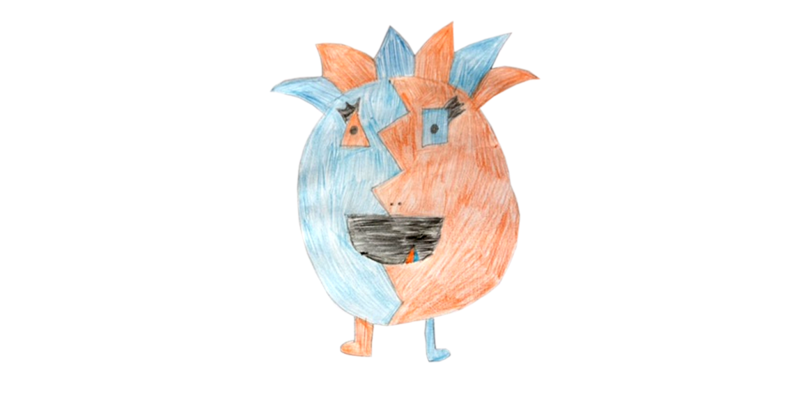 We particularly liked how Izzy had used two halves to make Zag, with opposite colours for his legs and body. His choice of food is nice and extravagant too, which we love! Interesting fact: Zag once had to sing on stage in front of 200 Squeebles! He was so embarrassed that he fell off the stage! 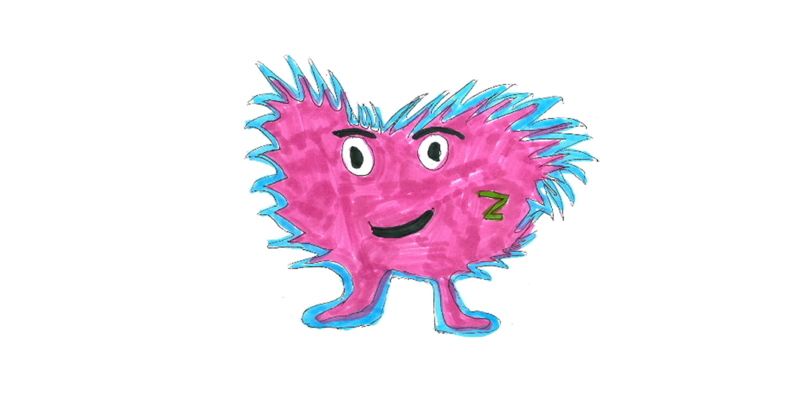 We've put Zog next to Zag because we thought they might like each others' names! There's also a Zig higher up the page! Very Christmassy colours in Beatrix's Squeeble, who likes chasing birds. But does he ever catch them? Interesting fact: Likes chasing birds! 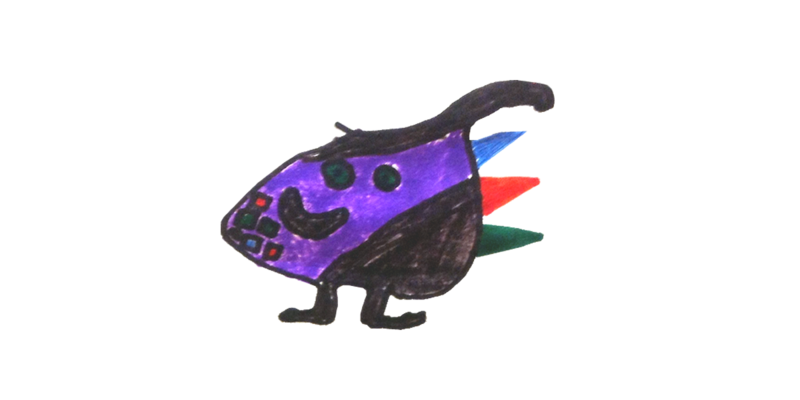 Interesting fact: All of Ziggy's family have been able to run as fast as lightning! 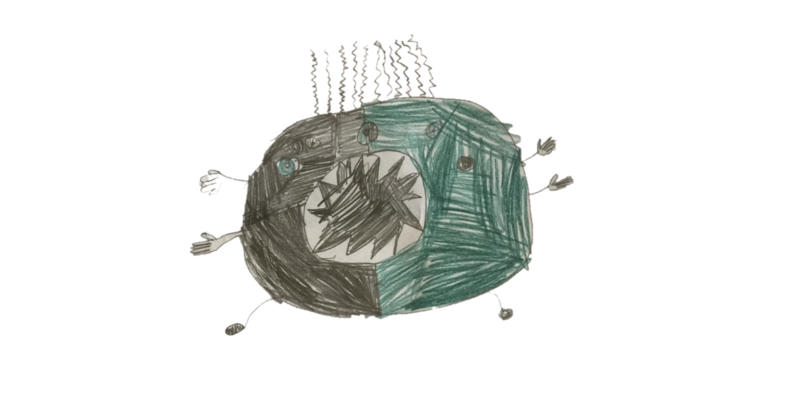 5 year old Ignatius won our last competition with his superb drawing of Eclipse. 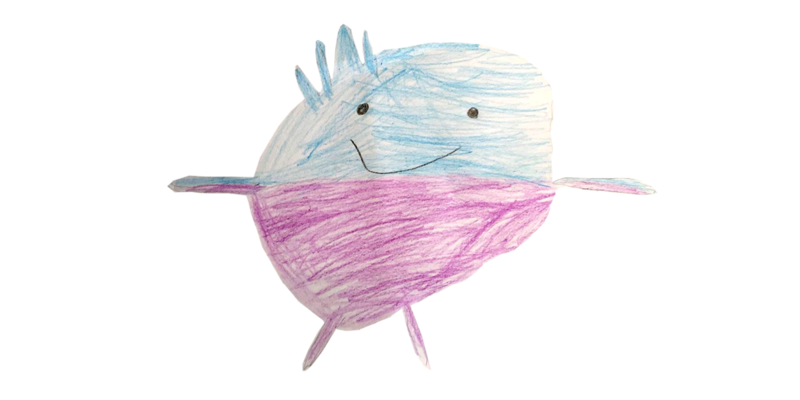 His entries this time were just as good, our favourite being this rainbow-like Squeeble with a big, friendly smile. Interesting fact: He loves soccer but doesn't like to be goalie because the other team will kick the ball between his legs and score a goal. 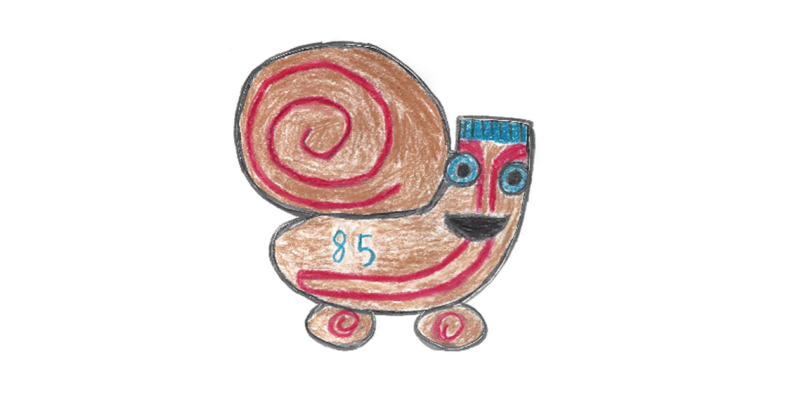 We loved Zachary's drawing of super-fast Sox, who we thought looked like he'd win most of the races on Squeeble Island. Great colours and an original idea for a design. Well done! Interesting fact: Once, he was racing Swipe and he fell into one of Chalk's holes and Swipe beat him. 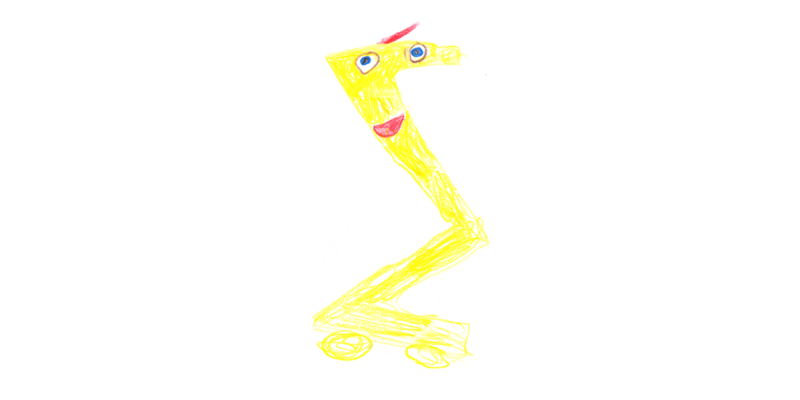 Nico's wonderful drawing looks like a very interesting Squeeble, with plenty of legs and a big smile. Well done Nico! Hobby: Swimming in the ocean. Interesting fact: Spidey likes making webs. 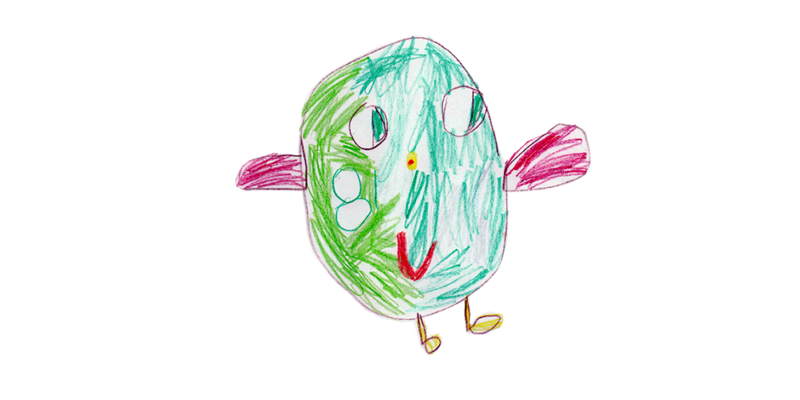 Lucy is just 3 years old - our youngest entrant into the competition - and she drew this beautiful, colourful Squeeble, which we absolutely loved. Hobbies: Looking at the frogs on Squeeble Island and putting them in size order! Interesting fact: Lumio has a light on top of his head, to help him see in the dark. 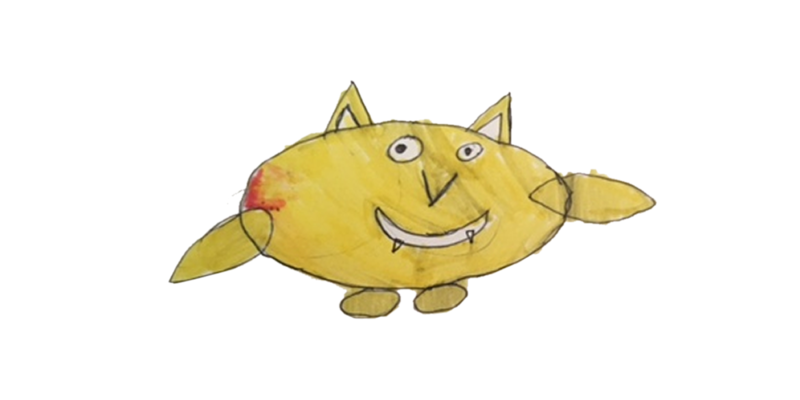 "This is a Squeeble called Bob. He is very friendly and he lives in South Africa. 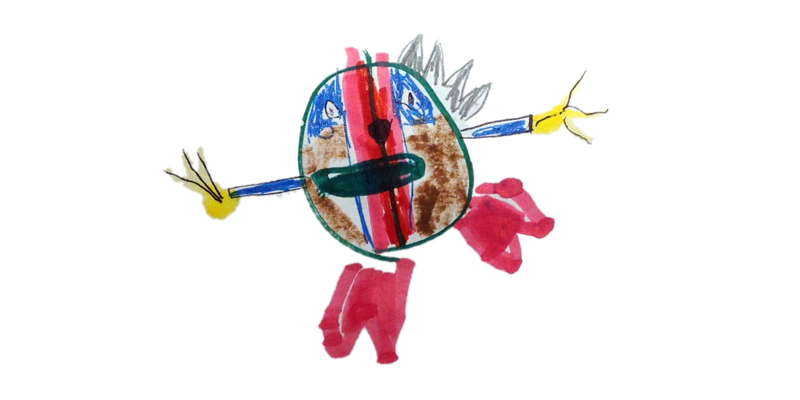 He likes playing sports and his favourite sport is football. Bob has fluff all over him and when he's angry, it turns into spikes. Bob lives in the countryside in a farm. He also likes playing board games. Bob's favourite food is chocolate cake. Bob is twelve." Wow. Roy is old!!! Over 11 million years old! 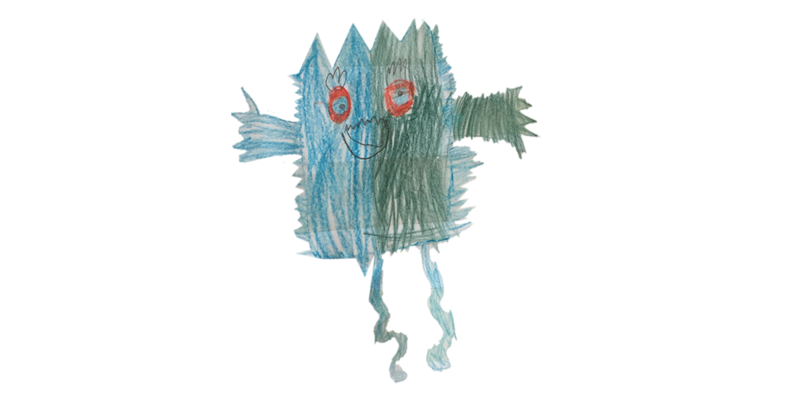 He also has 4 arms, lots of very spiky hair and several eyes. 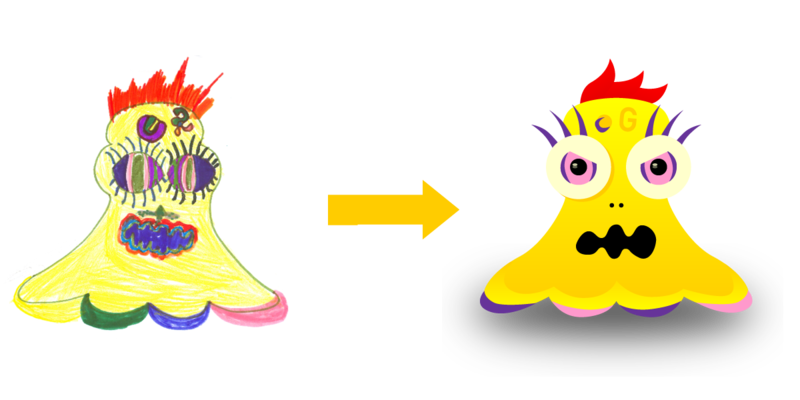 Ben's character looks like a very interesting Squeeble that I'm sure would be lots of fun to hang out with! Hobbies: Playing bongos and talking to animals. Interesting fact: Roy is currently in the Squeeble Olympics! 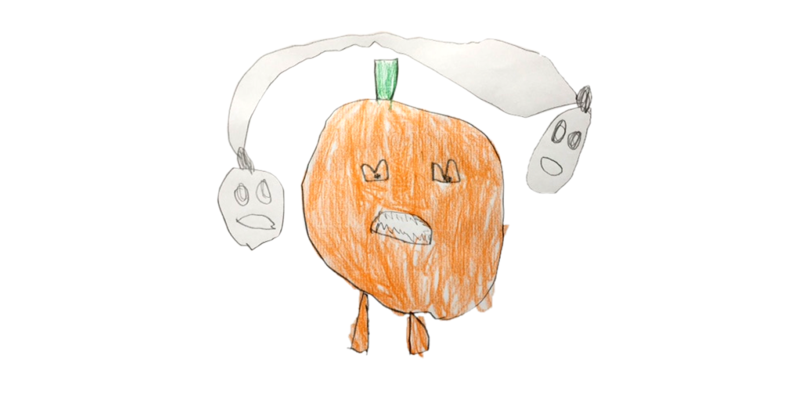 We loved Pumpky's fierce teeth and ghostly friends swirling around his head. Well done Bella! 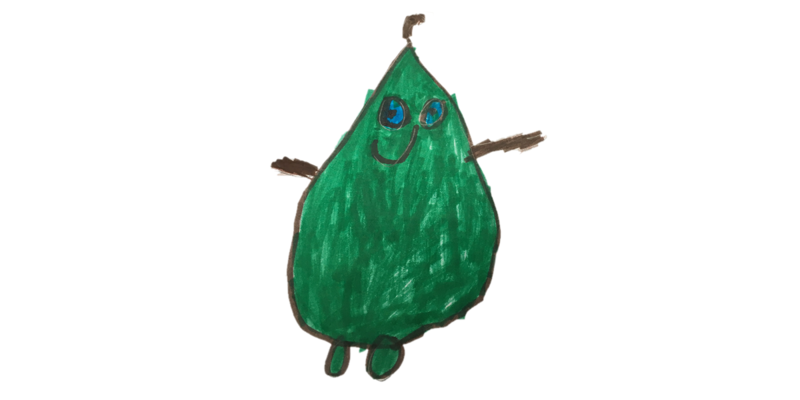 Favourite food: Broccoli and peas. Hobbies: He likes to write poems about what he does. He also likes to look at pumpkin decorations. Interesting fact: He sleeps in the day and eats breakfast at night. He plays at night too. Also, he's scared of the light. We particularly liked the pink ears that Baiana has and her big Squeebly grin. A game of hide and seek in the coconut trees on Squeeble Island sounds like a lot of fun! 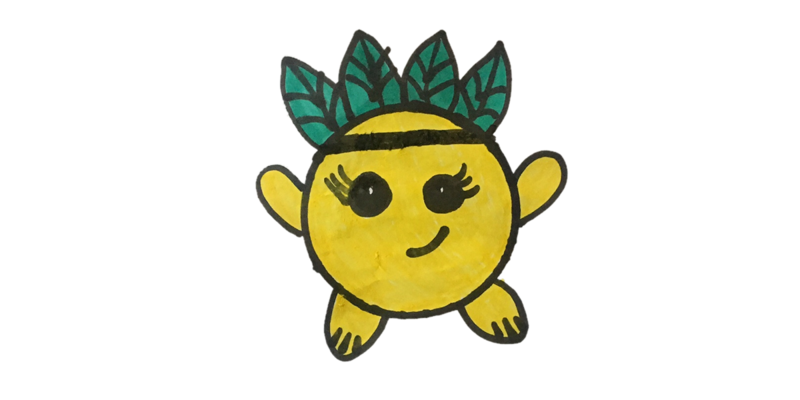 Interesting fact: Baiana is Bitsy's closest relative and loves playing hide and seek in coconut trees. The parent/guardian/teacher submitting the entry and the child who created the entry shall be referred to collectively as 'the entrant' for the remainder of the Terms & Conditions. Tiny Spark Ideas Ltd. trading as KeyStageFun will be referred to as KeyStageFun for the remainder of these terms and conditions. The winning entrant's family or school will be rewarded with a £30 Amazon voucher or equivalent amount of Amazon vouchers in their country of residence's currency at the time of announcing the winner. Two runners up will receive a £15 Amazon voucher. The winning entrants shall not receive any monies or benefit in any other way from the sale of any apps or other materials featuring their Squeeble in the future. 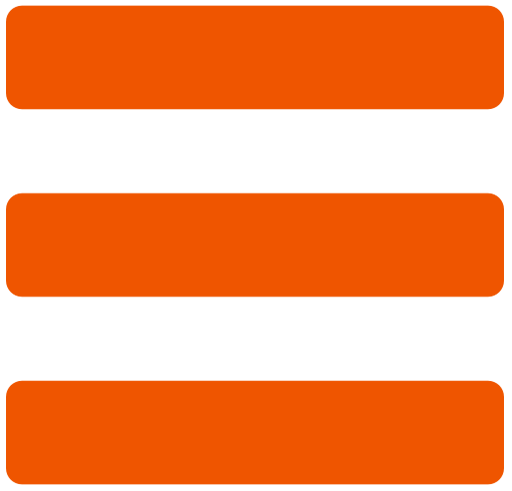 Each entrant agrees that their Squeeble design may be used in promotional materials produced to promote KeyStageFun in the future as well as any other apps, video content, television production, books or other written or visual materials produced for sale or promotional use in the future. 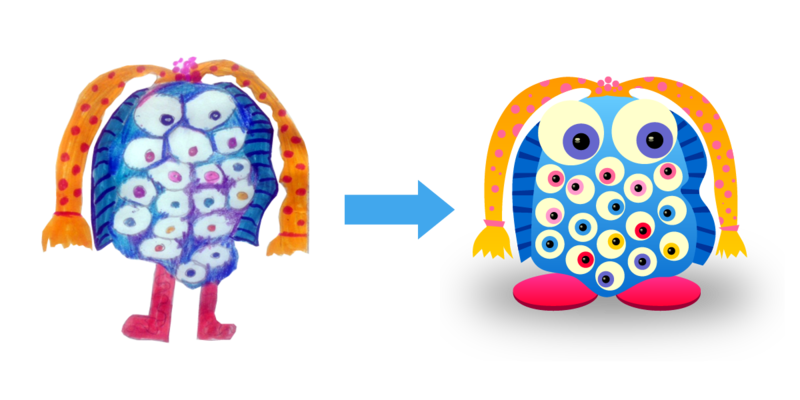 The copyright and ownership of the finished Squeeble created from an entrant's design will belong to KeyStageFun. Each entrant confirms that their entry and all associated information is their own work and does not infringe anyone else's copyright in any way. KeyStageFun cannot be held responsible for any infringement of copyright unknown to them within any entry. 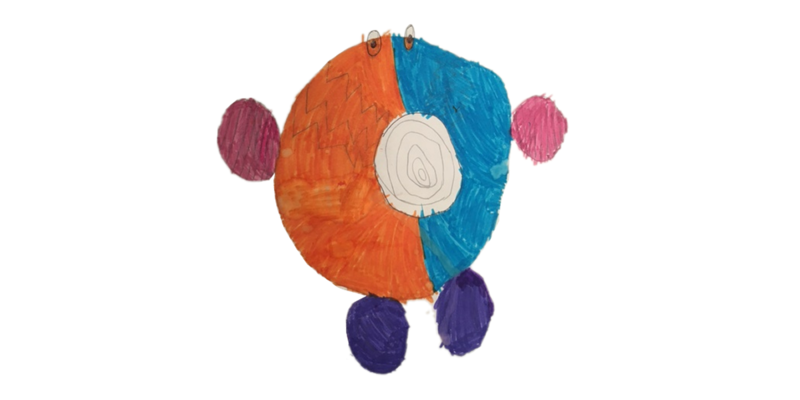 If desired by the winner and confirmed by their parent/guardian/teacher, we are happy to credit them within the finished app as the creator of the Squeeble. 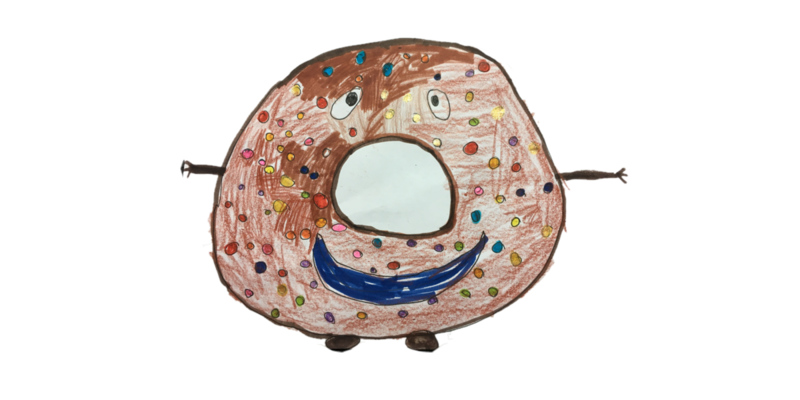 By submitting an entry, the entrant agrees that it may be featured on the KeyStageFun website/Facebook/Twitter or Meet the Squeebles blog and elsewhere (along with the entrant's first name and age). 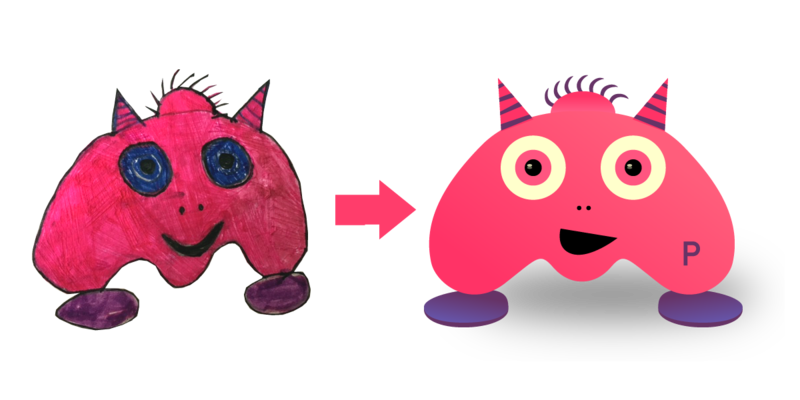 KeyStageFun have already created many, as yet unpublished, Squeebles: if one of the Squeebles which appears in the final app happens to be similar to an entrant's design which was not chosen as a winner, KeyStageFun cannot be held responsible for this coincidence. The competition closes on October 30th 2016. The winner and runners up will be chosen by KeyStageFun and our decision is final. No alternative prizes can be provided.